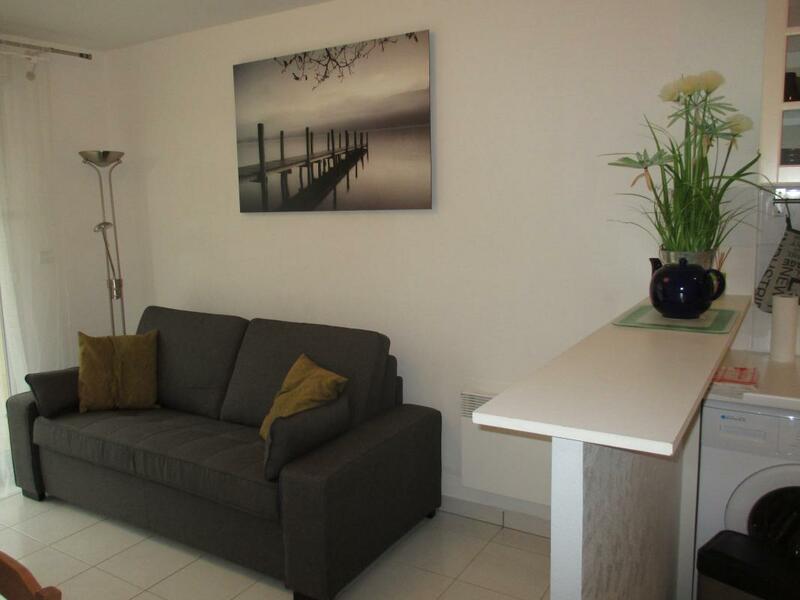 Apartment on ground floor of quiet, secure residence 300m from the sea. Living room/lounge (sofa bed, flat screen HDMI TV, USB port) opening onto fenced garden (30 sq.m.). Fully fitted kitchenette. Bedroom (queen-size bed). Bathroom, separate WC. Bed made on arrival.